Posted on September 27, 2016 by Joseph Alban, L.Ac. You may also know that a healthy, or unhealthy, GI system plays a key role in maintaining overall health, affecting among other things, the immune system, weight regulation, and emotional well-being, not simply digestion. If any of this concerns you, there’s a word you should get to know: PROBIOTICS. Not just a Madison Avenue gimmicky buzzword to sell yogurt, probiotics are definitely an idea whose time has come. Probiotic, by definition, means “For Life”. These are organisms that support life. 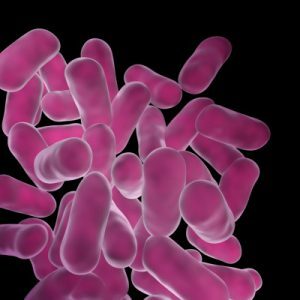 To be a bit more technical, they are consumable bacteria which provides a health benefit. And we’re not really getting enough of them. Think of your intestinal area as a forest, a beautiful, healthy, lush landscape that thrives in a harmonious way, all the good, healthy bacteria and flora working and existing symbiotically, extracting nutrients from our healthy food choices, maintaining normal growth cycles, keeping everything in a general state of balance. Now, put this situation into the real world, 21st century lifestyle frame! Fast food, gobbled at an even faster pace, immune systems depleted from lack of rest and too much stress and too little replenishing nutrients. Not to mention weird chemicals that the body simply doesn’t know how to handle, anti-bacterial soaps and potions that really confuse the system, the list goes on and on. What’s a body to do? I don’t know about you, but living the off the grid in a stress-free environment, growing my own food dream is not an option for me! But probiotics are! Adding probiotics to your diet is a wonderful way to hit the re-set button and get back to the balance you were born to have. To get right to the point, let’s call probiotics the body’s groundkeepers. They come in, revitalize areas of intestinal floral that have gone dormant, patch up holes in the stomach lining that have deteriorated, allowing not-so-friendly organisms to creep and nutrients to seep out, and keep it all in check. So, where are these probiotics, you wonder? A walk down the supplement aisle of any pharmacy will present you with a wide variety of probiotics. How to pick? What do I do? I leave the pharmacy and head to the nearest health food store. There, you will find probiotics in nature’s own package: Food! I have long been a proponent of getting your nutrients from your daily diet and a fermentation enthusiast. That’s why the pills and powders are called “supplements”, not “dinner”. Probiotics come in many flavorful food choices you need to try! Adding fermented foods, such as pickles, sauerkraut, tempeh, yogurt, and kefir are a delicious and versatile ways to rebuild and strengthen your GI system. You can make a lot of these at home too and they are super easy. Please, however, be wary of the pale versions of such foods: sauerkraut on a Nathan’s street dog doesn’t count, nor does the sugar and preservative laden yogurts that are closer to a dessert pudding than a probiotic. Real yogurt, and even better, kefir, is stronger, a bit more of an acquired taste. Tangy, even on the sour side, you may find you need to mix a bit of honey or maple syrup at first, gradually tapering down. Give it a real chance, though, you will probably find you like this new taste in your repertoire. It’s important to be sure what you’re eating is traditionally fermented and not pasteurized. That kills all the good bugs. Kombucha, a beverage made by fermenting tea with a starter (called a SCOBY), is also a good source of probiotics. It’s also pretty tasty, a bit like apple cider. Kefir, (my all time favorite ferment) is similar to yogurt, can be mixed as a dressing, whipped into a smoothie, or mixed with granola for your breakfast. Still portable, still an on-the-go food, just not a nutritional nightmare. Probiotic supplements are a more trial-and-error undertaking. In a nutshell, if you are taking them and you feel good, and your digestion is functional and moving correctly, you’ve hit on a winner! If you experience sluggishness, or bloating, or just don’t feel well, might be time to try a different label. Before starting taking a probiotic, it is important to ask your healthcare provider if probiotics are right for you. As with much healthy, high quality food, yes, these items can be on the pricey side. But, if you bypass the fried, greasy, empty calories in the fast-food world, (and the subsequent Rol-Aids Pepto-Bismol cocktail afterwards) you’ll agree the trade off is worth every penny. And when your next gut check finds you with a happy, healthy, highly functioning tummy? Priceless. 1. Sonnenburg J, Sonnenburg E. The good gut : taking control of your weight, your mood, and your long-term health. New York: Penguin Press; 2015. Previous PostPrevious What is a Trigger Point?